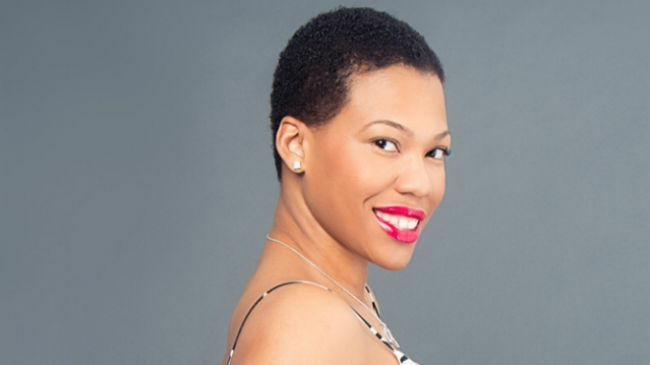 BIGCHOPHAIR, a natural hair extensions company, is based out of Garden City, New York and has been saving scalps and protecting edges all over the hair community. As a small, black-owned business which is also female led, owner Melissa Etienne has admirably changed the game with her brand of extensions. Available in wefts, lace closures, bulk, u-part wigs, clip-ins and full wigs, Etienne offers five different hair type options so that they can be as close to a customer's real texture as possible. I've always had passion for hair. I wanted to become a hairdresser and have my own hair salon. I always did hair for my friends and family, but once I started doing hair for people I didn't know, I realized that I liked to do what I wanted to do to people's hair and not what they wanted me to do! I learned quickly that being a bossy hair dresser wasn't going to work and that instead, I should go be a boss. There are goals that I've set for BIGCHOPHAIR and they still haven't been reached so until those milestones are met, I'm still waiting for the pinch myself moment. My biggest obstacle, which I am still trying to overcome, is opening a location. At the moment, BIGCHOPHAIR is online. I offer a local pick-up in Long Island, but I do not have an actual location. I’ve been in business for four years now; at least once a week, I talk of opening a storefront. I do see it in our future but the time isn't right just yet. It's very hard to separate myself from my work. So, I force myself to practice self-care by dropping my son to school every morning. I have the option to do bus service but I choose not to because dropping him off allows me to head straight to the gym after. That morning workout really sets me up for a wonderful and productive day. I love supporting black-owned businesses. As a business owner myself, and knowing how much work and dedication goes into it, makes me feel so vulnerable to other black owned businesses. I purchase things even if I do not need to. The most recent purchases I made were with Juvia's Place, Rue 107, and I'm heading over to The Wrap Life's website as soon as I'm done with this interview. Reach out to other female entrepreneurs and have open dialogue with them about your goals and strategies. Let them do the same with you. Maybe you are going through something someone else already went through so they can offer you advice. Do not struggle alone, you must have an outlet. Favorite protective style: Clip-ins and wigs are great because you can take them off and care for your own hair. Song you are vibing to right now? Beyonce's Hold Up--that's my jam! Quirkiest habit you have on wash days? I leave conditioner in for about 15 to 20 minutes and while I do that, I put a face mask on--so I am conditioning my face and hair at the same time! A photo posted by Ashley H.